SÃO PAULO, BRAZIL – President Dilma Rousseff has unveiled plans for legislation to improve the quality of products and customer services offered in Brazil, affording shoppers greater protection and more rights. The proposed Plano Nacional de Consumo e Cidadania (National Consumer and Citizen Plan) will bring together a number of ministries, national industry regulators and the Central Bank to create a new National Chamber of Consumer Relations. Brazilian President Dilma Rousseff signs up to the new National Consumer and Citizen Plan, photo by Roberto Stuckert Filho/PR. The president said the government wants “to increase access to quality products and services” and therefore new consumer protection is needed to ensure high standards for the services provided. Legislation will also strengthen the powers of Procons, the country’s local consumer authorities. Three committees will form a national body for consumer relations, including one for domestic and foreign tourist services aimed at those traveling to Brazil’s upcoming mega events. The new rules, still to be approved by congress, will mean greater controls and larger fines for those “disrespecting consumer rights.” New rules for both the banking and telecoms industries – both of which have topped Procon consumer complaints surveys for the last five years – are also due to be carried out. National Consumer Secretary Juliana Pereira said legislation underpinning changes for the banking sector would mean better transparency, greater choice, and easier comparisons for customers in terms of banking products. “Consumers need to know how much the interest is, how much [the bank] is charging, and how to compare to see what the best financial service is for them,” Pereira said, emphasizing that banks will have to make all possible applicable charges clear. It is hoped that one of the sectors to benefit most from new legislation will be the fast-expanding telecommunications industry: a number of companies have been embroiled in scandals over poor service and mismanagement of customer complaints. 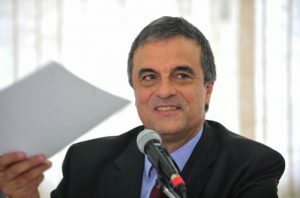 Justice Minister José Eduardo Cardozo hopes to cut the state legal bill by strengthening the powers of Procons, photo by Elza Fiúza/ABr. The president of national telecoms regulator Anatel, João Rezende, said he hoped additional new rules, encompassing fixed line and mobile telephones, broadband and paid TV packages, would result in cheaper services for customers. “When greater price comparison is encouraged between companies, it can bring about greater competition which itself can lead [to] lower charges,” Mr. Rezende said. One of the biggest changes is that the new legislation will now cover online transactions, which will now demand clear, correct, and objective information for consumers and making it obligatory for companies selling goods and services online to have accessible customer services. Although a month-long public consultation will be held now, it is expected the new rules will come into force by mid-May. E-commerce leaders have apparently welcomed the news, which they say has come at a good moment in the burgeoning sector’s history. The message that consumers must come first has been echoed by Brazil’s new Minister for Civil Aviation Secretary, Wellington Moreira Franco. He says that, with nearly ten percent more Brazilians flying in 2012 than in 2011, his “sole focus” will be on making sure those traveling by plane receive decent service. With Brazil’s new middle class, the government is acutely aware that these Brazilians with significant spending power and well-versed in consumer rights will demand better services. Reports indicate an almost seventy percent increase in the number of disputes in Brazil’s small claims courts relate to consumer demands, costing an average of R$1,000 (US$503) to the state. By increasing local Procons’ powers, it is hoped that far fewer legal battles will end up in court, saving the goverment money.